Sadly, I am not at the ALA Annual Conference in New Orleans. I am following along via Twitter and hoping my colleagues bring me back lots of great galleys. Spinning Silver by Naomi Novik (Del Ray, July 2018). This book comes out the day before my birthday! Happy birthday to me! 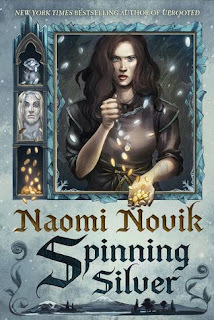 It's a rich fantasy retelling of Rumpelstiltskin by the author of the rich fairy tale novel Uprooted, which I also loved. This one's atmospheric and haunting - in a world where all fear the ice faeries the Staryk, a teenage girl catches their attention by turning silver into gold. Miryem is the daughter of a terrible moneylender. Terrible because he can't bring himself to force people to repay their debts, so Miryem's family starves which those who borrowed their money (her mother's money) live fine lives. When Miryem has finally had enough of starving and watching her ailing mother's health decline, she takes her father's account books and starts collecting the debts owed to her family, bringing them fortune but also attracting the attention of the Staryk. If you're looking for a fantasy fairy tale to sink your teeth into, do pick this one up when it comes out next month. If you enjoyed Katherine Arden's The Bear and the Nightingale or Novik's previous fantasy retelling Uprooted, you will like this one, too. 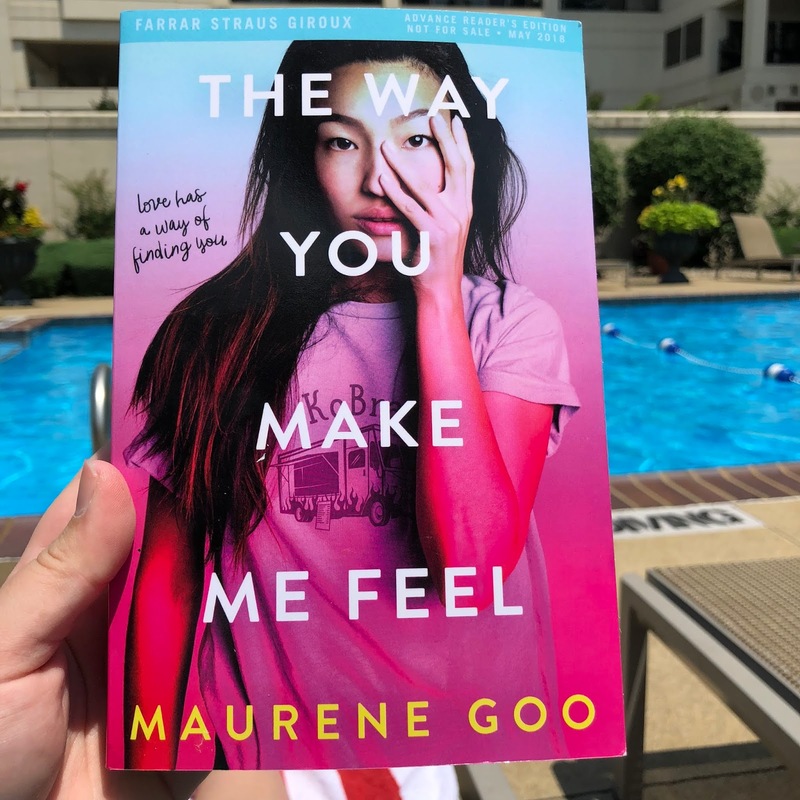 The Way You Make Me Feel by Maurene Goo (Farrar, Straus, & Giroux, May 2018). This one has been my pool book for the past week and UNFORTUNATELY it's been rainy and busy this week, so I'm still at the very beginning. 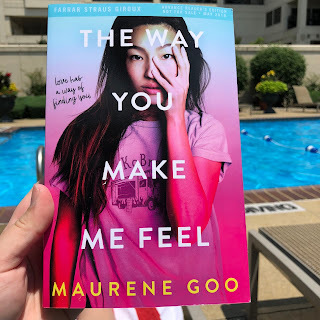 I loved Goo's previous YA romance I Believe in a Thing Called Love and so far this one is standing up to it. It's funny and I can't wait to see what will happen next - maybe I can make it back to the pool tomorrow?! And on audio, I have Code Girls: The Untold Story of the American Women Code Breakers of WWII by Liza Mundy, read by Erin Bennett (Hachette Audio, 2017). I'm only at the beginning of this one, too, but I'm drawn in by this untold women's story. It's reminding me a lot of Hidden Figures by Margot Lee Shetterly and Rise of the Rocket Girls by Nathalia Holt, both of which I enjoyed a lot. 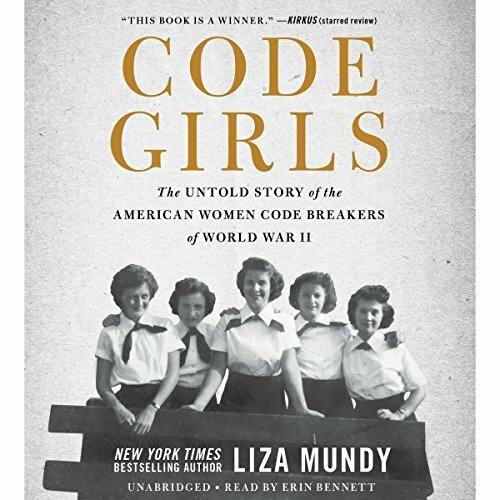 Many women were recruited from top colleges to join the US Navy and US Military as code breakers during WWII. Why don't we know their stories? Now we will. Historical feminist nonfiction is my jam, so I think I'll enjoy this quite a bit.